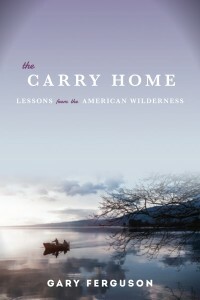 Elk River Arts & Lectures will host award-winning Red Lodge author Gary Ferguson for a reading on Friday, March 27. Ferguson’s latest book is a memoir chronicling his wife’s death on a 2005 canoe trip in Canada, and his subsequent journey to scatter her ashes in her favorite places. 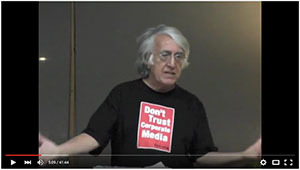 Ferguson has published widely on the subjects of science and nature, including 23 books and innumerable magazine articles. 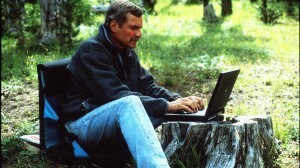 His 2003 book, Hawk’s Rest: A Season in the Remote Heart of Yellowstone, won both the Pacific Northwest Booksellers Award and the Mountains and Plains Booksellers Award for Nonfiction. Decade of the Wolf was chosen as the Montana Book of the Year, while The Great Divide was an Audubon Magazine Editor’s Choice. Ferguson will visit with Park High School students, then give a public reading that evening upstairs at Elk River Books, 120 N. Main St. at 7 p.m. The reading is free, and will be followed by a reception and signing. The events are co-sponsored by the Murray Hotel. Elk River Arts & Lectures is a non-profit organization that seeks to bring writers to Livingston for free public readings, and also to provide opportunities for those writers to interact with local public school students. More information is available at elkriverarts.org.